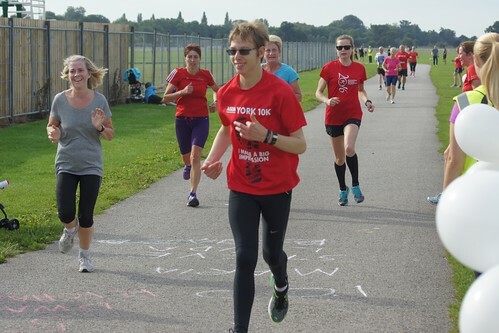 In this week’s newsletter, Fiona Sefton tells us how parkrun has had a significant impact on her son Adam, and we encourage you to explain why you value your local parks and open spaces. 21-year-old Adam Sefton recently took part in a 5k race without anyone from his family running alongside him. Without knowing Adam you could be forgiven for wondering why this was such an enormous achievement, so we asked his mum Fiona to explain. "My son Adam has a learning disability. This means he doesn’t have the same level of understanding and communication skills as other people his age. As a result he finds it harder to learn new things and needs to be told things in a simpler way. Adam needs support when travelling to most places; for example he needed training to enable him to walk the mile to college on his own. As well as his learning disability, he has speech difficulties and had a delay in walking, running and jumping. His disability is an undiagnosed syndrome but presents very similar to Cerebral Palsy. In 2013, when Adam was 18, a friend of mine asked everyone who was attending her wedding if they would go with her to York parkrun the day before she got married. I thought it was great, and I asked Adam if he’d like to go along with me. As he was coming to the end of his schooling and wouldn’t even have PE to keep him even the tiniest bit active, I knew that we needed to find something he enjoyed. I don’t know how Adam felt before that first parkrun, but I was definitely intrigued to see how he would do. Adam talked to his dad and I the whole way around, and he really enjoyed it. Initially Adam was really excited to see his improvement week after week. He got a PB every week for about eight weeks! We do parkrun together with a run/walk strategy. Being part of parkrun has had a huge effect on Adam’s confidence, and mine. He likes to go and see the friendly people we’ve met, and he still talks to me all the way around – so I know he could go faster if he wanted to and leave me well and truly behind! Each summer there is a local 5k race (the men’s version of Race for Life). As it is a men’s only race, I’m not allowed to take part, and his dad couldn’t run with him this year. Adam has participated twice before, but I wasn’t sure if he’d want to run on his own. However, to our surprise, Adam asked to take part. Not having anyone to talk to or support him around the course would be a huge step for someone who loves to talk/sign his way around. Not only did Adam complete the race and enjoy it, his pace was similar to parkrun. This meant he stuck to his run/walk intervals. The confidence Adam showed to do this was amazing and I can’t wait to see what he decides to do next. Both parkrun and running by himself have helped Adam to develop the social skills to be able to talk to people and not be afraid to ask for help, and he has just started a course to prepare him to enter the world of work. His health and fitness are fantastic, and I am certain that’s because he wants to run. He’s not so keen on getting up early on a Saturday morning mind you, but the promise of a cup of tea when we finish usually gets him out of bed!" 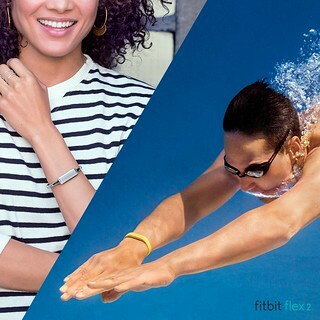 Fitbit: The original Fitbit Flex is one of our most popular tracking devices. It's slim, simple to wear and easy to incorporate into your everyday routine. So how can we make something so good even better for you? Introducing the Flex 2: our first swim-tracking device. Never miss logging a pool session again, as the new and improved Flex 2 lets you go from dry land to a dunk in the deep end or even the ocean. Flex 2 has Smart Track built in –automatically track activities like running, sports and aerobic workouts, then see exercise summaries in the Fitbit app. Plus track swimming automatically and never worry about making a splash – from bubble baths to beach days, we have it covered. Even the washing up! And just like the original Fitbit Flex, the Flex 2 still makes monitoring your fitness goals effortless with automatic all-day activity, exercise, and sleep tracking to show how your entire day adds up, keeping you motivated. You can also stay connected, receiving notifications of incoming texts and calls to your phone. 30% smaller than the original Flex, the Flex 2 is even more minimalist, and the range of coloured elastomer bands as well as pendants, bracelets and designer accessories make it even easier to coordinate with your lifestyle. Sounding good? We thought so! Read more on the Flex 2 here and have a closer look on our store – it's now available for pre-order to be shipped in October. Please note that this new product is not currently available in the parkrun discount store. 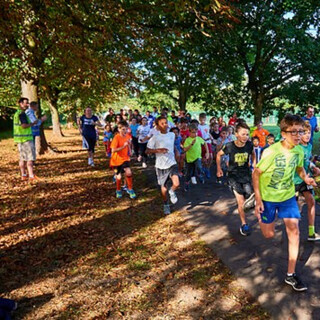 Intersport: Last weekend was even more special than usual, as on top of it's fabulous parkrun, Reigate was host to the Intersport Run Reigate Half Marathon and 10K. It was fantastic to see so many parkrunners at these events, as we know that many of you used your parkrun as part of your training. 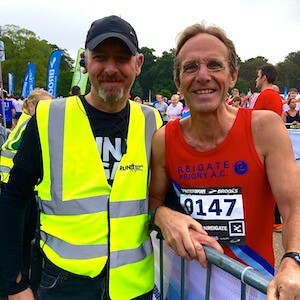 We really enjoyed meeting lots of you at Reigate Priory parkrun, including Alex Heffer who ran the 10K on Sunday, and Run Director Paul Chandler who himself took on the half marathon (pictured above with the race director). We were also filming in Reigate so watch this space! There was a fantastic and inspiring atmosphere in Reigate all weekend, made even more special by the presence of Dame Kelly Holmes. Dame Kelly is a strong supporter of parkrun and was the official starter of the Half Marathon and 10K. What a true running icon she is. Our friends from Brooks Running were also with us in the race village, supporting the race. We love their “Run Happy” motto and how passionate they are about promoting a healthy, active lifestyle. Thank you to everyone who turned up to run, cheer, support and volunteer, and congratulations to all those who crossed the finish lines at events and races all over the country last weekend. Autumn is always a fantastic season for running and if you’re after more gear, remember that you can claim 10% off at Intersport as part of our ongoing parkrun partnership price #PPP*. Simply show your parkrun barcode in store (#DFYB!) to claim 10% off running products or use code PARKRUN10 to claim 10% off your entire order online**. We are always on hand with plenty of expert advice, from tips about running through to gait analysis and finding your perfect shoe; find your nearest store here. 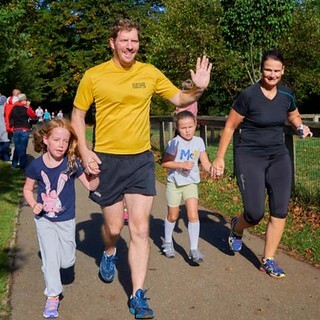 Make sure that you keep sending us your pictures via Twitter @Intersport_UK andInstagram @intersport.co.uk with#loveparkrun and like us onFacebook. *PPP valid at all participating Intersport stores; see our website for details. ** Not to be used in conjunction with any other offer or promotion. 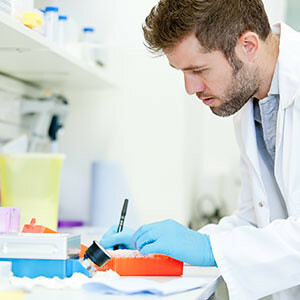 ARUK: Yesterday was World Alzheimer’s Day and we’d love to tell you about some of the new grants Alzheimer’s Research UK is funding this year, made possible because of our generous supporters’ fundraising. Scientists at the University of Oxford are set to benefit from a £200,000 funding boost. Out of that money, in the first ever project awarded by Alzheimer’s Research UK’s Global Clinical Trials Fund, Professor Jane Armitage at the University of Oxford will receive £155,000 to study whether aspirin or omega-3 fish oils have an effect on memory and thinking skills in people with diabetes. Dr Selina Wray, from University College London, has been awarded more than £400,000 to investigate how the protein tau, which builds up in the brain in Alzheimer's, causes damage to brain cells and leads to the devastating symptoms of the disease. In Scotland, Edinburgh dementia scientists are set to benefit from more than £600,000 of new funding from Alzheimer’s Research UK. Dr Iris Oren has secured nearly £50,000 for a year-long pilot project to develop advanced molecular techniques to study how tau spreads through the brains of mice with features of Alzheimer's. The charity has also awarded Prof Karen Horsburgh over £560,000 to lead a three-year major project examining how changes to the brain's blood supply might contribute to the symptoms of Alzheimer's and vascular dementia. Dementia researchers based at The University of Nottingham have been awarded £13,000 of new funding from Alzheimer’s Research UK for state-of-the-art equipment that will help scientists reveal more about the genetics of diseases like Alzheimer's. The equipment will help to extract genetic information from brain tissue generously donated by people who died with Alzheimer’s or other forms of dementia. Finally, a research team led by Prof Chris Fox from the University of East Anglia (UEA) will benefit from a £260,000 funding boost. The research will see them shed new light on the factors driving Alzheimer’s disease together with a linked condition, delirium. Alongside an international team from Norway, Sweden and Ireland, and investigators from King’s College London and the University of Edinburgh, UEA will study the effect of hip fractures on the rate of decline in people with dementia. For more information about our latest funding, visit our news page. The Communities and Local Government Committee is conducting an inquiry into public parks, to examine the impact of reduced local authority budgets on these open spaces and consider concerns that their existence is under threat. The Committee wants to encourage as many people as possible to contribute to the inquiry before it closes next week. You can have your say via a short online survey or on Twitter explaining why you value your local parks and using the hashtag #myparkmatters. parkrun UK will also be submitting a comprehensive written response. 13 parkruns around the world celebrated their anniversary last weekend. Late August is the most common start date, and the weekend of 26 August 2017 will see the anniversaries of 40 events. I'm a regular volunteer at Lancaster parkrun and have been Run Director a few times. I prefer to volunteer rather than run because 5k is a bit short for me. Last weekend I did the equivalent of 27 parkruns when I ran 81 miles in three days for my local hospice and it was such a pleasure to have so many parkrun friends with me for my last day. I love volunteering at parkruns as it's such a positive experience for everyone. And every single person there is an athlete. Stratford upon Avon parkrun is very proud of our JM10 runner, Alex Adams, who won the Junior Great North Run earlier this month. 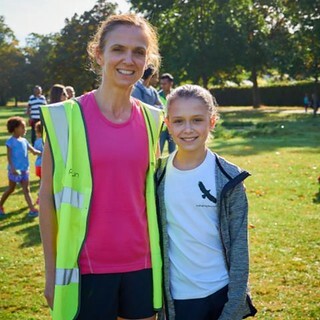 Back at Stratford parkrun, it's a family affair for Alex's family with mum and dad Emily and Tim, big brother Ollie and gran Cindy all regularly running and volunteering. Alex now has a huge silver cup and was congratulated by Olympic Gold Heptathlete Denise Lewis. At Montacute parkrun this week we were joined by Cass Castleton who has run 218 parkruns in 65 different locations. By completing Yeovil Montacute he’s now completed the full parkrun alphabet – the 24 letters in England plus Zary in Poland (there is no “X” – though it was suggested he went to our neighbours in “’Xeter”!). He’s run parkruns in every country there is one and every region of the UK, so he’s now off to volunteer in every region too (hence he was tail runner here this week). Last week he completed a 100k race – he had the organisers delay his start time so he could fit in Fulham Palace parkrun first. Cass we salute you! I did my very first parkrun with one of my boxer dogs, Henry, at Lullingstone parkrun on 10 September. He was so excited before the start and had a brilliant time going around. We joined the Kent Canicross Group a short while ago, so haven't been doing canicross that long and I thought I would see how he would be at an event with lots of people. All the volunteers did a great job – keep up the good work Lullingstone parkrun! Let us know if you have an interesting parkrun story or photo to share. In this week’s newsletter, Graham Evans MP tells us about his love of running, and we have news of two exciting new partnerships. Graham Evans MP is the Chair of the All-Party Parliamentary Group for Running. The purpose of the group is to encourage running as a sport nationally, support constituency running and athletics clubs, and help employers and businesses of all sizes to encourage running in the workplace. 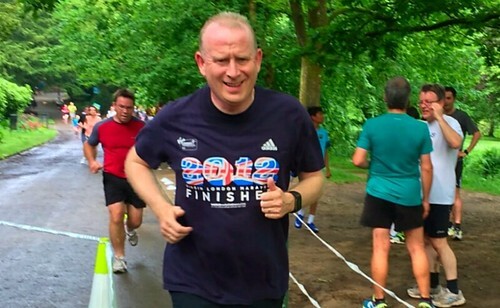 Graham tells us why he is so passionate about promoting parkrun. “I have always been interested in running and keeping fit. When I was growing up in Poynton I would run along the beautiful Midland Way and around Lyme Park. I first heard about parkrun from my wife, Cheryl, and it appealed because it was something we could do together as a family. Our first parkrun was brilliant, and the whole family have been hooked ever since. I love the fact that you can just turn up to a free event aimed entirely at getting you out into the fresh air and off the sofa. It’s suitable for all ages and all abilities and there are parkruns to take part in across the country. I spend most of the week down in London, which limits the number of times I can get out for a run. Parliament is a massive place with so many corridors, staircases and halls to cross and my Fitbit tells me I do about 16,000 steps on a normal day of running around to meetings and votes; but then I try to get at least one or two proper runs in when I’m down there. At home during the weekend, constituency work permitting, we tend to go to Bramhall parkrun as a family. My children are very proficient runners and we all really enjoy getting out in the fresh air and running together as a family. I’m also the Chair of the All-Party Parliamentary Running Group, which seeks to play a part in making this a healthier, fitter country by raising the profile of running with MPs, opinion formers, and within our constituencies. Because parkrun is all about encouraging people to lead more active lifestyles, I try to promote it as much as possible. We usually take part in Bramhall parkrun, but other local events to us are Lyme Park, Wilmslow, Delamere and Marple. In an age when we are all concerned about the nation’s growing obesity problem, I view parkruns and running in general as a terrific way to help us all become a little less like couch potatoes! I’m also a massive fan of junior parkrun and school running projects that encourage young people to run every day and become more active. As with so many things it’s all about education, and if we can help children enjoy running and understand the benefits of it at an early age this can only help them later on in life. In the long term I believe that a more active nation produces a more successful one, and one that will ultimately put less strain on our NHS. 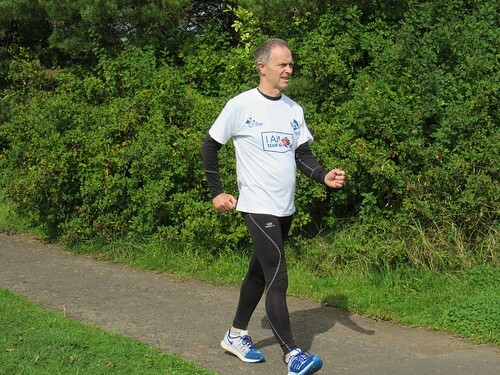 Running is a wonderful way to get out in the open, get fit, and speaking from a personal point of view it offers me a period of time where I can think away from phone calls, meetings and all the pressures that go along with being an MP. I encourage everyone to get involved with their local parkrun – as runners, joggers, walkers and volunteers!" Intersport: Last week Intersport teamed up with ASICS to offer parkrunners a free pair of limited edition ASICS headphones to pick up in store or via Instagram #ShoeWithAView @intersport.co.uk. Thank you so much to everyone who got involved – over 600 pictures were posted online in the first few days and we have enjoyed meeting lots of you in store as you’ve been popping in with your parkrun barcode to claim your exclusive pair of headphones. We were overwhelmed with the response and despite having 10,000 pairs to give away, it meant that we unfortunately couldn’t supply headphones to everyone who visited our stores or who posted a photo. Our apologies to those who missed out. It has however proved what a great running community parkrun is (which we obviously already knew! 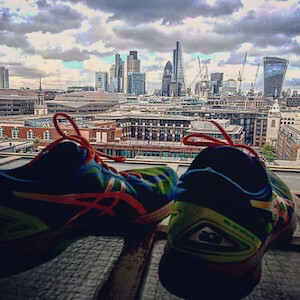 ), with all your pictures coming in to Instagram of your ASICS #ShoeWithAView. We’ve loved seeing your favourite running spots, from cities and beaches to woods and hills! The first 100 entrants who uploaded a photo of their running shoes tagging @intersport.co.uk in and including #ShoeWithAView received a free pair of headphones in the post. We are always on hand with plenty of expert advice from tips about running through to gait analysis to find your perfect shoe, find your nearest store here. Make sure that you keep sending us your pictures via Twitter @Intersport_UK and Instagram @intersport.co.uk with #loveparkrun and like us on Facebook. *PPP valid at all participating Intersport stores; see our website for details. ** Not to be used in conjunction with any other offer or promotion. ARUK: If you’re one of nearly 4,000 wonderful runners taking part in Running Down Dementia we’ve got a few updates for you. Firstly, the campaign will sadly be drawing to a close on Monday 31 October. But the good news is that it means you still have over six weeks to get to your £100 and 100km targets! And better still, Running Down Dementia is going out with a bang as Alzheimer’s Research UK staff plan to join you at six selected parkruns throughout the country on Saturday 29 October as you clock up your final kilometres. The six parkruns will be spread over the country across the following regions: London, Cambridge, Durham, Yorkshire, Scotland and the Midlands, keep your eyes on our Facebook page for more information. 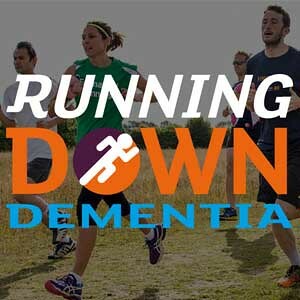 We’d love you all to join us at one of the parkruns in your Running Down Dementia t-shirts. If you still don’t have one you can buy one here. If you go to the Running Down Dementia website you’ll now be able to see a few changes we’ve made. The first is the new countdown clock which gives you all a reminder of how long you have left to complete the challenge. The second thing we’ve added is our new wall of fame – The 100km Club. The 100km Club features all those who have run over 100km or are near to crossing the finishing line, along with how much they’ve raised for the challenge to date. We know how hard all of you have worked and we’d like to reward you all with some well-deserved recognition for all you’ve done to help dementia research. Fitbit: 5k. Five kilometres. Five thousand metres. It sounds like a lot, right? It doesn’t have to. Despite how daunting it may sound, almost anyone can run 5k. Yes, that includes you too! And of course a parkrun is a 5k. It can be a starting point, a way to mix up an existing routine or a harder push. A 5k can be used in so many ways, so whether you’ve never run before or are looking to give your training that extra push, here’s how you can use a 5k, whatever stage you’re at. Ideal for beginners: Aiming to run 5k without stopping is a great first goal for runners. By training towards this goal and slowly reaching it you’ll establish pace and breathing as well as maintaining an elevated heart rate. Pick up the pace: When you have a little more experience, try to find a track so that you can run continuously without distractions and run 3-4 ‘warm up’ laps. Then run a lap at almost your top speed to elevate your heart rate, then rest for the same time it took for you to run that last lap. Repeat this routine 3-4 times. Then recover fully before running a half lap and resting for the rest, and repeating again 3-4 times. This will help to build stamina and endurance for running longer distances. Try Fartleks, ‘fartlek’ means ‘speed play’ in Swedish. These exercises allow you to experience speed without burning out - try running for 30-60 seconds at a high speed, then slow down to recover your breath, and run hard again. Mix it up with 30 second and 60 second bursts in between resting to keep the variety. Go long: When running longer distances, aim to run for 60-80 minutes. It’s long enough to tire your large muscle groups, yet still engage the fast-twitch muscle fibres that you need to speed up. You’ll also increase your cardiovascular infrastructure which lets you process more oxygen at a faster pace, making it more efficient for your run. So now you know! For our full blog on how a 5k can help you, click here. 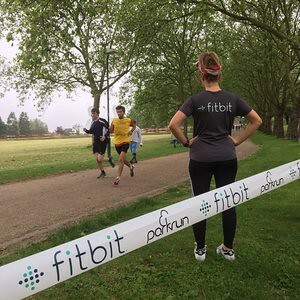 Don’t forget to keep track of your progress with a Fitbit – parkrunners receive an exclusive discount on devices, so take advantage of it and browse the store. 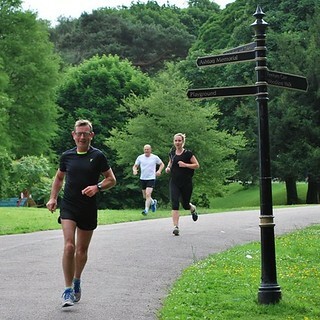 parkrun has teamed up with sports scientists, engineers, psychologists and public health experts from Sheffield Hallam University to develop ways to improve the health and wellbeing of the UK population. 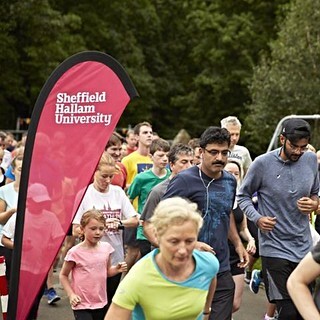 The new partnership, which was launched at Sheffield Hallam parkrun on Saturday, will enable academics at the Advanced Wellbeing Research Centre to look at how parkruns are impacting on health outcomes and conduct research into the nation's physical activity levels. Click here to read more about the partnership and to watch a short video from the launch event. parkrun and GoodGym, two of the UK’s biggest providers of free, organised physical activity and volunteering, have joined forces in an exciting new partnership to extend their positive impact. GoodGym is a growing movement of runners who combine exercise with helping their communities. Members stop off on runs to support isolated older people, and to do manual labour for local organisations. Following the partnership launch at Mile End parkrun on Saturday, a group of people ran to Tower Hamlets Cemetery Park and planted 1,500 bulbs and cleared ivy from gravestones. Through the partnership, parkrunners will be invited to GoodGym runs and GoodGym runners will be invited to parkrun. GoodGym runners have carried out thousands of runs to help older people in London and Bristol, and the aim is to launch in every city in the UK by 2018. Further details will be announced shortly, and the full press release is available here. 51.7% of the quarter of a million new walkers, joggers and runners welcomed to UK parkrun events this year have been women and girls. Members of King’s Lynn parkrun gathered together on a wet Saturday to celebrate their fifth anniversary. Having completed the normal 5k parkrun many continued the theme by launching into a 24-hour Marathon, with runners completing the parkrun course, for an hour of their choosing, until 9am on Sunday. 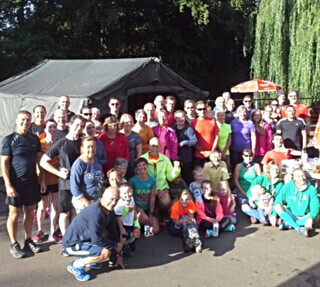 It proved a very successful event with more than 180 individuals taking part, running 1,288 miles collectively and raising just over £900 towards improvements to the park. 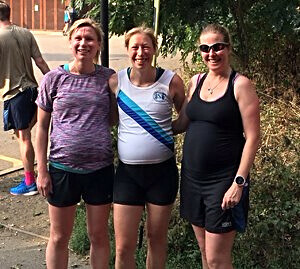 I usually parkrun to chase PBs, but not this year though - I'm now eight months pregnant, and parkrun has helped me embrace a totally different approach to running. As I've slowed, I'm running in new parts of the Hackney Marshes parkrun pack and thanks to this I've met so many new people and other new parents who've been a great source of information and inspiration, especially those women getting back into it again after giving birth. It has been great to meet other happy, healthy, preggers and very inspiring parkrunners! In this week’s newsletter, we have an inspirational story from David Mushet as part of Organ Donation Week, you have the chance to win a signed shirt from Olympic Gold Medalist Alistair Brownlee, and there is the opportunity to join the parkrun UK team as an Ambassador. "In 2002 I acquired Primary Sclerosing Cholangitis, a chronic liver disease that affects the bile ducts and ultimately leads to liver failure. I experienced periods of chronic fatigue, and my skin became so jaundiced that I looked a bit like Homer Simpson. Then in late 2012, after a spell in my local hospital, I was transferred to Edinburgh Royal Infirmary and following some tests was listed for transplantation. Within two weeks I had a new liver. My transplant completely transformed me and gave me a new zest for life. I had been heavily involved in football for a long time but unable to participate because of constant fatigue, so the thought of being able to try lots of new activities was incredibly exciting. I knew my recovery would be a long process and I wouldn’t be challenging Usain Bolt any time soon – my first 100 metre walk took 30 minutes – but steadily I built up my strength. I was walking every day and doing exercises prescribed by my physiotherapist, and two months after my transplant I began cycling. By late summer I was healthy enough to return to work. During my recovery my physio mentioned the British Transplant Games and we used that as a target. This annual competition is all about demonstrating the benefits of transplantation, increasing public awareness of the need for more people to join the NHS Organ Donation Register, and encouraging transplant patients to regain fitness. As I had walked then cycled (both low impact activities) during my recovery period, I competed in the 5k Race Walk and two cycling events – the 5k Time Trial and the 10k Road Race. I won the gold medal in the 5k Race Walk, and was lucky enough to be selected to represent Great Britain at the 2015 World Transplant Games in Argentina. Knowing I would need to improve my times and fitness, a work colleague suggested that Greenock parkrun would be ideal for me. I contacted the volunteer team to see if they could accommodate a walker, and they were incredibly supportive of what I was trying to do and why I was doing it. It was a similar situation with local parkrunners, who were very encouraging and always there at the finish to cheer me home. The community spirit was amazing. As a family we became fitter than what we had been pre-transplant, with my wife, son and daughter accompanying me to different sports and events, and my wife Lesley started taking part in parkrun with me. Over time I became more involved with parkrun as both a participant and volunteer. This led to me being part of the core team that established Linwood parkrun earlier this year, where I am now the Event Director. My advice to anyone who has had a transplant is to follow the exercise regime advised by your physiotherapist, and come along to your local parkrun! You don’t need to run, or even walk for that matter, because simply immersing yourself in a friendly and welcoming environment is a positive experience in itself. If you want to experience something completely different, contact your local Transplant Sport Team Manager and come along and participate in the annual British Transplant Games. Because, just like parkrun, it caters for all ages and abilities and you’ll meet lots of people who have been in the same position as you." You can also ready the stories of Tony Scott and Phil Cairnduff, both regular parkrunners who have also had organ transplants. Intersport: Back to school can only mean one thing…back to parkrun! 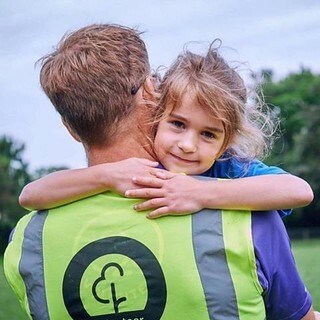 If you’ve had a break from parkrun over the summer holidays, the arrival of September and return to routine puts that familiar 9am family parkrun slot on a Saturday back in the diary. Phew. Now the kids are sorted, it’s time to kit yourselves out with some of our stylish new arrivals from your favourite brands. Whether you’re after a reflective vest, a windproof outer layer or some new high performance running shoes, pop down to your local Intersport (find your nearest store here)and we’ll help you pick out the best gear for your autumn runs. Remember that you can claim 10% off at Intersport as part of our ongoing parkrun partnership price #PPP*. Simply show your parkrun barcode in store (#DFYB) to claim 10% off running products, or use code PARKRUN10 when shopping online at www.intersport.co.uk for 10% off your entire order. Send us your pictures via Twitter @Intersport_UK #loveparkrun and like us on Facebook to keep up with what’s going on. Fitbit: Variety is key to keeping your fitness routine fresh, so we’ve updated the Fitbit app Challenges to include something new. Introducing Fitbit Adventures. This new addition is one that will really take you places - California’s Yosemite National Park, to be exact. Unlike our other Challenges, Adventures is a personal immersive experience that’s a non-competitive exploration of one of the world’s greatest natural beauty spots, to encourage you to move more. So how does it work? Every day you’ll be challenged to reach a new destination on the trail which is determined from your past step data, so that the goal is challenging but still achievable. As you step your way through the adventure, you’ll see the stunning Yosemite National Park through the lense of world-class outdoor photographer Chris Burkard and find out facts about this international treasure. Try the trail on the Fitbit app now, Read more about Fitbit Adventures on our blog here and keep your eyes peeled - because the Big Apple is up next! New York City will be added to Adventures soon, plus other great destinations are in the pipeline. 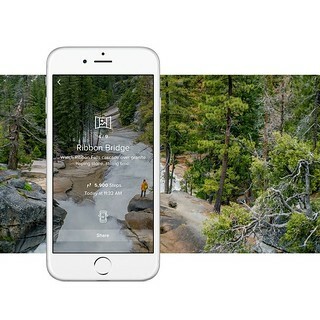 Haven’t got a Fitbit yet and want to explore? Take advantage of the exclusive parkrunner discount and shop your online store here. In case you missed it, we just launched the latest Fitbit trackers, the Charge 2 and Flex 2. Packed with new features these will take your stepping to another level - check it out here. 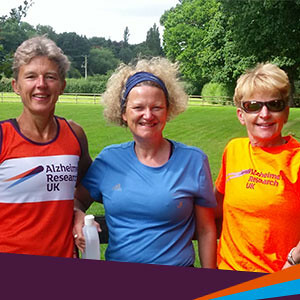 ARUK: This week we’d like to introduce you to three wonderful women who have collectively run nearly 500 parkruns! Becky Thurtell, Sue Armstrong and Judith Prentis are tackling the Great North Run in aid of Alzheimer’s Research UKon Sunday. But it wouldn’t be possible without parkrun UK, which has helped the trio get their fitness levels up and enabled them to take on the 13.1 mile half marathon challenge. Becky has been joining in with parkrun most Saturdays since 2005, just a few months after parkrun started. Her local is Bushy Park, but she is now a keen 'tourist' and travels to a different parkrun most weekends. Judith only took up running in January 2014, when she embarked on her very first parkrun. At the time Judith walked the entire course in walking boots, and finished with a time of 46 minutes and 53 seconds. Since then she has come on leaps and bounds and attends her local parkrun at Wimbledon Common nearly every week. Last week she finished with a personal best of 30 minutes and 13 seconds. Meanwhile Sue has moved to Herefordshire from London and now goes to Worcester parkrun instead of Bushy Park. The group, who became friends while studying a postgraduate course, decided to take on the Great North Run to raise money for vital dementia research. Becky’s 89-year-old father has had Alzheimer's for nine years and lives in a care home, while her 83-year-old mother was diagnosed more recently and can no longer cope living on her own. She now has a live-in carer to assist her with personal care and daily household tasks. Becky said: “My father no longer recognises me, which is extremely distressing for my whole family. My mum gets by with the help of carers, but things have changed so much. GO TRI: Ever fancied giving triathlon a go? This summer Team GB triathletes made history in Rio, bringing back their biggest Olympic medal haul to date. Millions of Brits tuned in to watch and now British Triathlon are out to turn inspiration into participation. 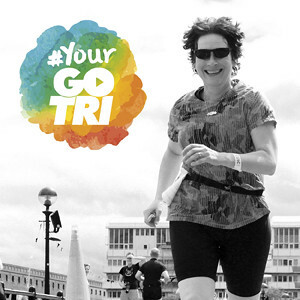 In an exciting new campaign, #YourGOTRI lets you create your own personal triathlon by selecting a swim, cycle and run from a range of fun activities. After creating your event you’ll then be sent a bunch of handy hints and tips to help you on your way, making completing your triathlon a complete breeze. What’s more, create your event before Sunday 18 September and you could win a signed t-shirt from Olympic champion Alistair Brownlee and bronze medal winner Vicky Holland. By completing a parkrun, you’re already a third of the way to being able to call yourself a triathlete. Click here to create your triathlon today! 25,988 different people have volunteered as timekeeper at UK parkrun events. Always there whatever the weather to help make sure we get our results! - Are you an experienced Event Director, Run Director or core volunteer? - Would you like to help activate new events? - Would you like to support other events? If the answer is "Yes" then you could be one of our Event Ambassadors! 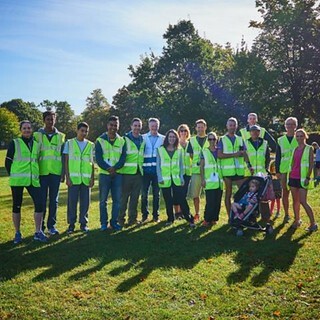 The parkrun Ambassador Programme was created in 2013 as a national support network of around 100 skilled and experienced volunteers for parkrun UK events. 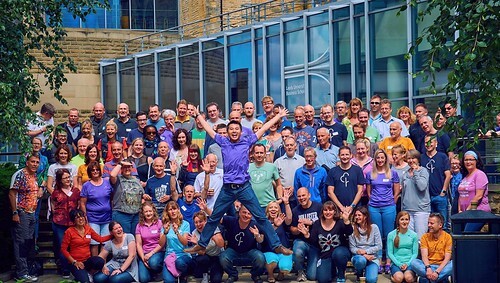 Ambassadors help design courses, meet with councils, generate funding, resolve disputes, train teams and generally help out at parkrun events near them. Working closely with HQ staff, Ambassadors are or have previously been Event Directors, Run Directors or active members of a core event team. The role profile describes in more detail what is involved and required in terms of skills and time commitment. If after reading this you would like to be considered please register your interest by completing this form. If you need assistance in completing the survey please contact Cathy Martin (Administrator). You can follow us on Twitter here, Facebook here, or on Instagram here.